2019 Robert Hight / AAA of Southern California / Chevrolet Camaro NHRA Mello Yello Funny Car 1/24 diecast, by Auto World. 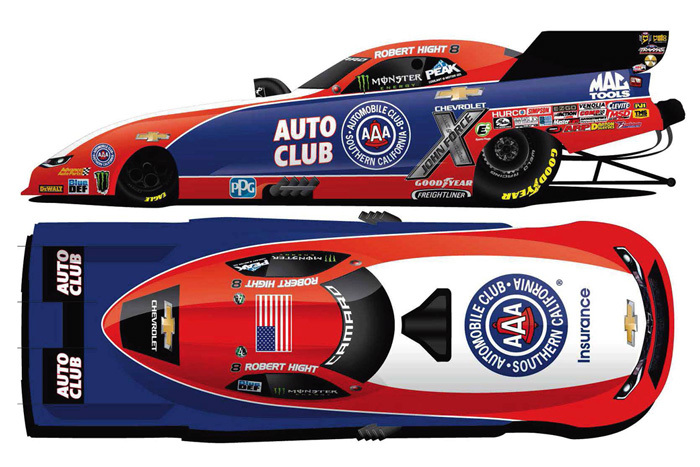 The John Force Racing AAA of Southern California Chevrolet Camaro Funny Car will be raced by Robert Hight during the 2019 NHRA Mello Yello Drag Racing Series. 2018 Robert Hight / AAA of Southern California / Chevrolet Camaro SS NHRA Mello Yello Funny Car diecast, by Action Lionel. The John Force Racing AAA of Southern California Chevrolet Camaro was raced by Robert Hight during the 2018 NHRA Mello Yello Drag Racing Series season. 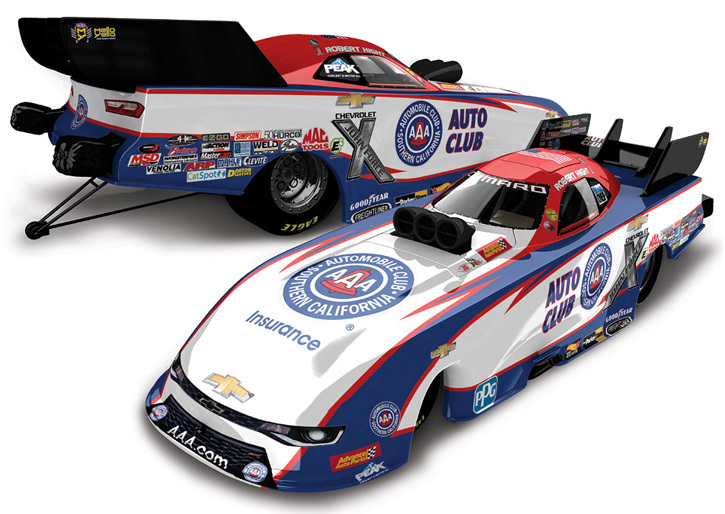 2017 Robert Hight / AAA Automobile Club of Southern California / Chevrolet Camaro SS NHRA Mello Yello Funny Car diecast, by Action. The John Force Racing AAA of Southern California Chevrolet Camaro SS was raced by Robert Hight during the 2017 NHRA Mello Yello Drag Racing Series season. 2017 Robert Hight / Auto Club / CHP Highway Patrol / Chevrolet Camaro SS NHRA Mello Yello Funny Car diecast, by Action. 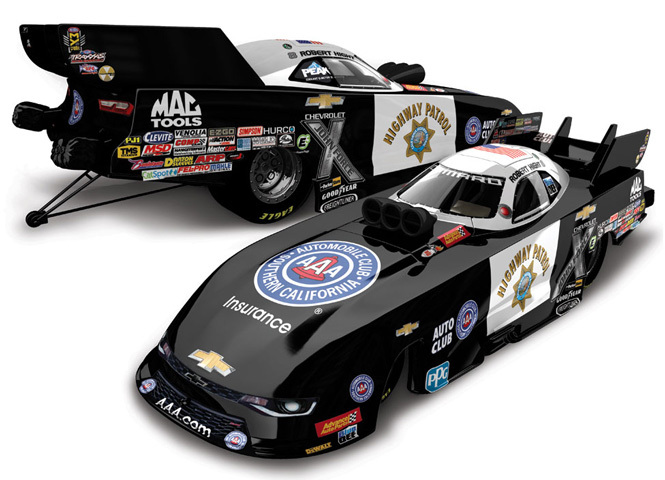 The John Force Racing Auto Club CHP Highway Patrol Chevrolet Camaro SS was raced by Robert Hight in select events during the 2017 NHRA Mello Yello Drag Racing Series season. 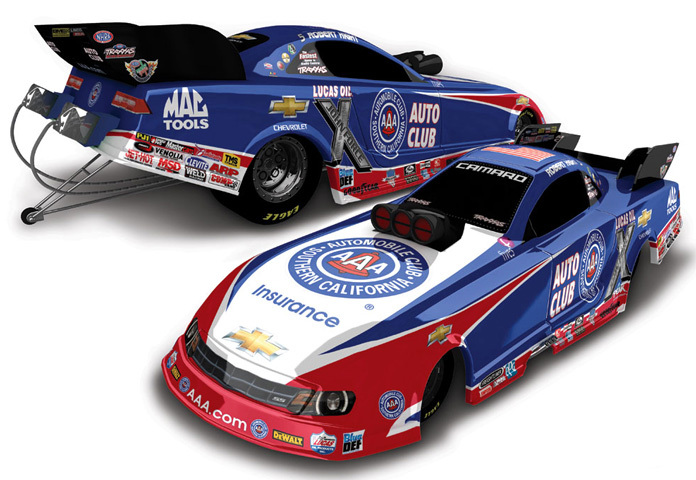 2015 Robert Hight / AAA Automobile Club of Southern California / Chevrolet Camaro NHRA Mello Yello Funny Car diecast, by Action. 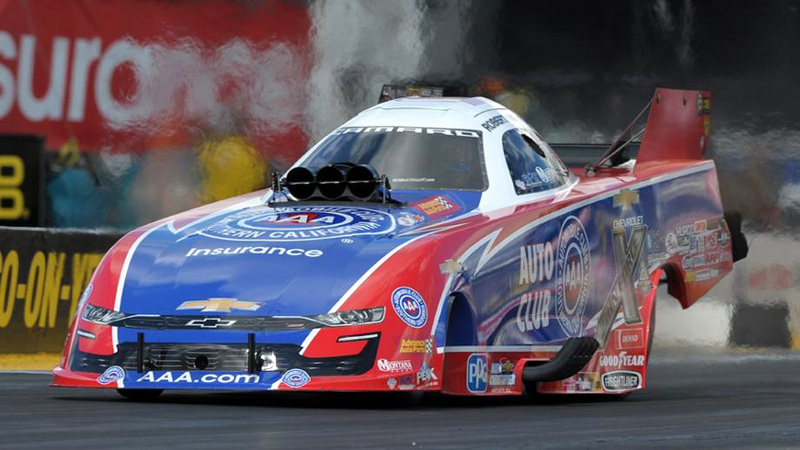 The John Force Racing AAA of Southern California Chevrolet Camaro was raced by Robert Hight during the 2015 NHRA Mello Yello Drag Racing Series season. 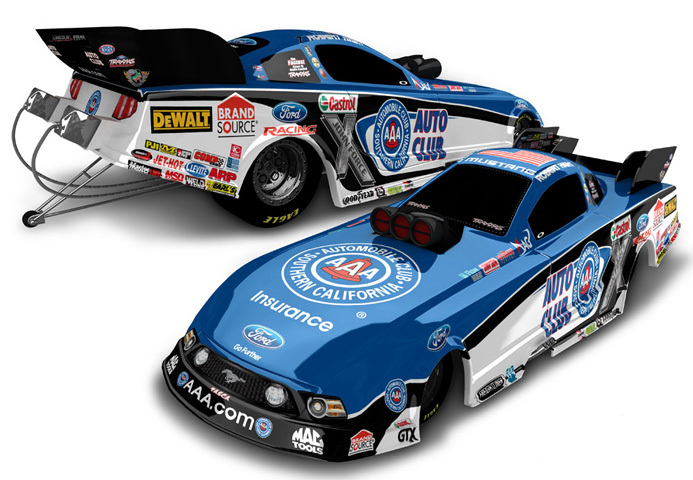 2013 Robert Hight / AAA Southern California / Ford Mustang NHRA Mello Yello Funny Car diecast, by Action. 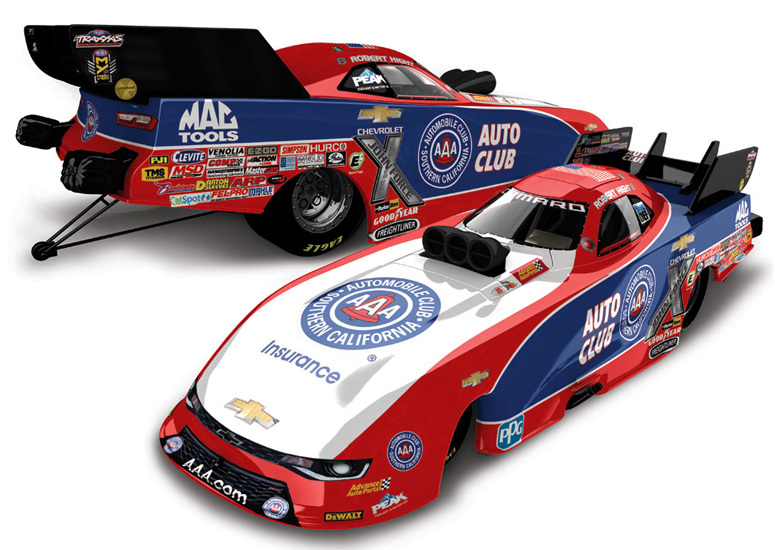 The John Force Racing AAA Southern California Ford was raced by Robert Hight during the 2013 NHRA Mello Yello Drag Racing Series season. 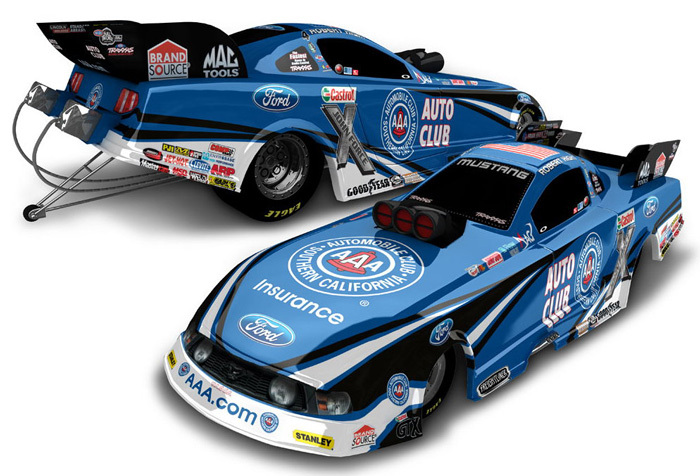 2012 Robert Hight / AAA Southern California / Ford Mustang NHRA Funny Car diecast, by Action. 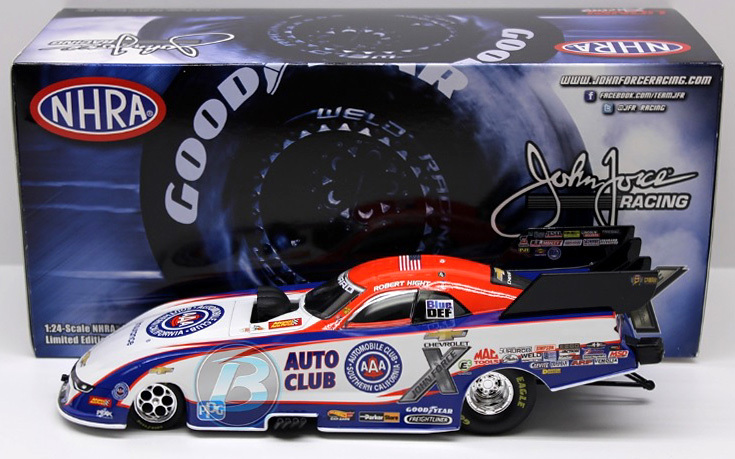 The John Force Racing AAA Southern California Ford was raced by Robert Hight during the 2012 NHRA Full Throttle Drag Racing Series season.